It is every marketer’s dream to generate leads or increase traffic to their websites without spending dollars on advertising. However, recent Google, Facebook and Twitter’s algorithm changes, while boosting user experiences, have continued to somewhat limit the organic reach of posts from businesses and brands. Nonetheless, savvy marketers understand that marking on LinkedIn is still a goldmine that anybody can leverage to grow leads and drive traffic to their sites—for free. This doesn’t mean that advertising on LinkedIn is free. On the contrary, there are tricks that you can use to get leads without paying anything. 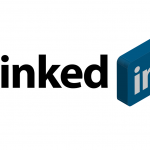 Whenever you tag someone in your LinkedIn post, the people who follow them and their connections will see the post. And when a few people interact with the post, it will also be seen by those people’s connections and followers. However, don’t be tempted to tag anyone in your post. It is advisable to only tag people you have quoted or referenced in the post you are sharing. Like Facebook and Twitter, LinkedIn allow its users to follow hashtags to get contents in their feed even if they are not connected or follow specific influencers for the topic. The good news is that LinkedIn suggest some of trending hashtags for you when you are posting content. Even if you don’t use the suggested hashtags, they can give you some inspiration of what to include. If you are still confused about the best hashtags to include, do a quick search for the topic in question to see the number of people or followers on the hashtag. Now that you know a few free LinkedIn campaign ideas that you can leverage to grow your leads, you can go ahead and optimize your campaigns so that you can get in front of the right people. • Heighten social collaboration over a range of business functions like customer service, support and marketing. Social media provides a great medium for business owners to understand real-time customer sentiments, intentions and choices. 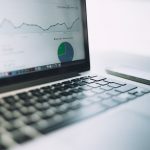 The most established application of this type of analytics is getting to know the consumer base on a more emotional level to assist with more targeted marketing and customer service. Figuring out the business objectives that can benefit from the data that has been collected and assessed is one of the first steps when a social media analytics program is being established. Included among the standard goals are maximizing business earnings, lowering customer service expenditures, getting feedback on products and services and improving public opinion regarding a specific product or business division. The moment the goals of the business are figured out, the KPIs or key performance indicators to carry out objective assessment of the data has to be outlined. Often, consumers have effective solutions for many of the issues an organization faces. For instance, if a product without proper documentation is on the market, it increases the chances of user errors. The users could solve these issues through trial and error and their findings can be posted in forums. This can assist the company in determining whether better documentation is needed. Analytics tools enable organizations to get a competitive edge over competitors by assisting with a greater understanding of their brands. Typically, this includes understanding how customers use specific services or products, the issues they faced while using them and getting feedback on the product or company. There are numerous blogs, tweets, complaints and comments about products and services. These consumer sentiments can be used to assess users’ experience. This data can then be used to assist companies with better performance. Social media is the new marketplace. In the most recent past, a significant percentage of people have continuously used the social media to shop and seek information about their daily decisions. As a financial advisor, therefore, you have a chance of creating a stronger brand by using these platforms. Several proven strategies exist that can help make your financial advisor branding journey a success, especially if well-executed. As simple as it seems, using social media is a little complicated, especially if you have a marketing agenda in mind. Not all social media outlets will give you the same results, so you will need to research on the appropriate channels to put out your branding strategies in. 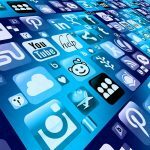 You need to also figure about the right social media tools that will give you fast ROI. For you to get the most out of social media branding efforts, you will need to be strategic about what you post, when to post it, and how to respond to people that react to your posts. If this is done well, it helps to create credibility for your brand. In the end, more and more people will begin to consider you as an authority. As much as you desire to build your brand as a financial advisor, mind the terminologies that you use because not everyone is conversant with the financial jargons. In an endeavor to look intelligent, you may lose your potential followers and customers due to use of hard vocabularies. People respond to action and only when asked to. Rarely will people reach out to ask fundamental questions about you and your brand if your posts do not lead them to do so. This means that you have to learn to create leading content that will invoke this reaction. Financial advisor branding is not necessarily easy; social media marketing and branding is a vast topic and there are times when you may need help. As your brand expands, hire a Sydney branding agency to manage your posts, respond to your contacts, and direct business your way. With these incredible tips, you are ready to make most out of branding using social media. Always be careful not to get lost in the ocean of social media interactions. Keep them purely for business and be a force to reckon with. Should Join The LinkedIn Premium Army? The introductions feature allows you to connect with people outside your network, especially if they are connected to someone already on your network. This might not sound like a big deal if you have never leveraged this feature, but if you have, you know very well that you can only get 15 such connections with a free account. With a Premium plan, you get up to 35 depending on the plan that you go with. InMails helps you avoid “the long way” when it comes to connecting with your prospects. It is a great way of getting attention of people outside your network by making available an otherwise forbidden capability: sending private messages to second and third level connections. Whenever you perform a search on LinkedIn, you will have far less results than you should access. If you have a free account, this will be clearer once you try to access page 11. On the contrary, a Premium account allows you to see up to 7X the amount of results. If you are a marketer who is trying to find leads beyond your local area, this feature is a goldmine. It is normal to keep doing repeated searches once you have dialed into your target market, especially after performing an advanced search. An often overlooked perk of upgrading to a Premium plan is the amount of saved searches that you can store at any given time—it is increased from 3 (in a standard account) all the way to 10 (in Exclusive Premium Plans). What’s more, you will receive email updates of new users who fit the criteria that you specified. If you are a marketer, just imagine how powerful this feature can be—receiving alerts whenever new prospects in your target market match the exact criteria you are looking for. This is literally delivering leads right into your email box! 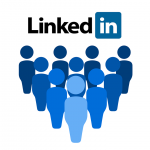 This post is not a promotion for LinkedIn premium but just a highlight of the valuable features that you can take advantage of when you decide to upgrade. If the above features don’t seem to provide immediate benefits to you, then you are just fine with a free account. However, if you are not sure and would want to learn more, subscribe to online free LinkedIn training tutorials for more comprehensive insight.